Carol McIntyre has helped over 3,500 painters see and mix color differently. She is an award-winning artist who is a signature member of the Transparent Watercolor Society of America and holding associate memberships with the Oil Painters of America and the American Women Artists. Early in her painting career, she too was surprised at the lack of easy-to-understand color theory classes. This motivated her to develop a common sense and simpler way to mix color which, in turn, would empower artists to bring more art to life. In 1987, Carol McIntyre traded her corporate suits in for an artist’s smock, unlocking the artistic vault she had kept sealed for over 15 years. Driven to develop her painting skills, she became frustrated when she could not find common sense color theory instruction. Not to be deterred, she studied color independently which led her to develop live and online courses teaching her own color mixing Balanced Palette System. 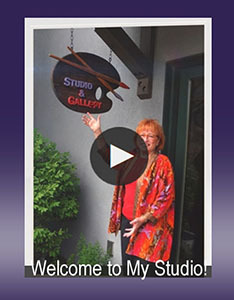 As a fine artist, Carol’s watercolor, acrylic and oil paintings have received multiple awards including the cover artist for Watercolor Magazine, signature membership of the Transparent Watercolor Society, and associate member of the Oil Painters of America and American Women Artists. She is a color expert who is passionate about teaching artists how to unleash their true color expertise and stop mixing mud. According to Carol’s mother, Carol arrived home quite distraught. Years later, Carol felt exonerated when her color expertise proved this uneducated teacher incorrect. Although Carol made art during her adolescent years, at twenty-one she shut the door. After majoring in art her first year in college, she switched majors when she came to believe that she could not make a living as an artist. With a master’s degree in educational psychology from Indiana University, she pursued careers as a school psychologist, a corporate trainer, and an independent training consultant. At age thirty-six, she traded in her corporate business suit for an artist smock. For fifteen years she had kept the creative vault shut until her beloved late mother-in-law, also an artist, introduced her to watercolor. Carol was a duck swimming in water—literally and figuratively. Her second run-in with the “color police” came two years into her self-directed painting education. Carol asked a well-respected art instructor for feedback on how she mixed and applied color. He said, “You understand color.” Dumbfounded to speechlessness, Carol was perplexed because she knew this wasn’t true. 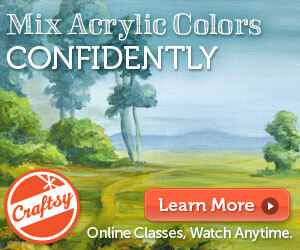 Her hours of frustration around learning color mixing and application proved that his statement could not be true. Like every beginning painter, mixing colors to produce a color she wanted often resulted in mud. Undaunted, she went on a hunt for color theory art classes. Living in a large US metropolitan area with many local art centers, she was shocked to learn that these classes didn’t exist. Finally, she found one class in the graphics department at the University of Minnesota. She convinced the professor to let her attend as an unregistered older student. This sixteen-week course opened up the doors to information Carol had been seeking. To further her studies, she began acquiring color books and CDs whenever one crossed her path. Soon after, she observed her fellow artists struggling with color, even as they bought into the myth that applying color is more intuitive than learned. So, once Carol saw the benefits of her color mixing using the Balanced Palette System™, she started offering workshops. She developed her signature system because no other approach existed. Painters in her classes went from skepticism to high fives as they learned to understand and apply Carol’s straightforward and accessible approach to color. In addition to being a color expert, Carol is a national, award-winning artist who has served as president of the Minnesota Watercolor Society. She is a signature member of the Transparent Watercolor Society of America and holds associate memberships with the Oil Painters of American and the American Women Artists. She was the cover artist of Watercolor! Magazine and has been a show judge and curator. Carol’s online color mixing video course—Acrylic Color Mixing Made Easy!—was produced by Bluprint (formerly Craftsy), the high-quality international online video company, and it has reached over 3,200 painters. After her paint brushes and palette knives, her second favorite tools are carpentry and power tools. In the summer, you can often find her painting and writing at her sacred mountain cabin in Colorado. The antithesis of a “color police officer,” Carol is passionate about teaching beyond the “what” to the “why-and-how” of color. Because her concepts are easy to remember and apply, artists become empowered as they unleash the voices of their creative power.